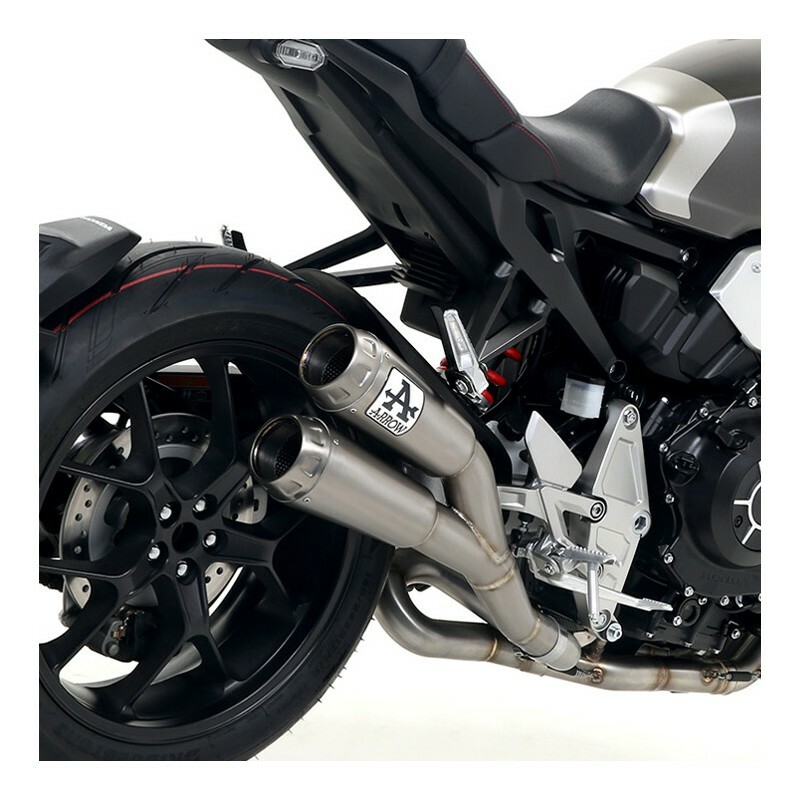 Arrow Double Pro-Race 2018 Silencer for CB1000R Neo Sports Cafe. 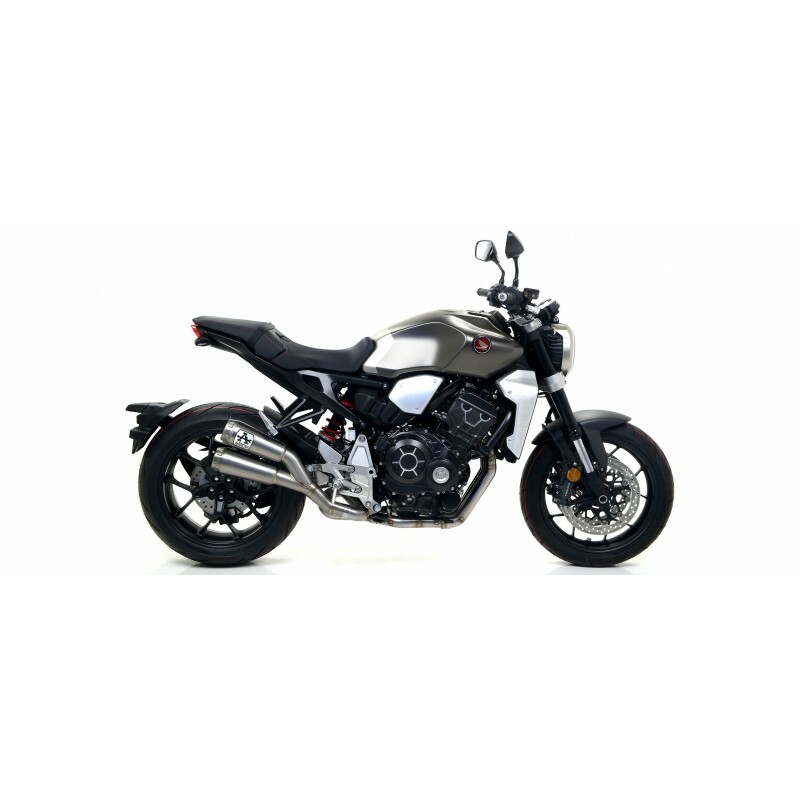 Available in two designs with choice of stainless steel or titanium (very light). 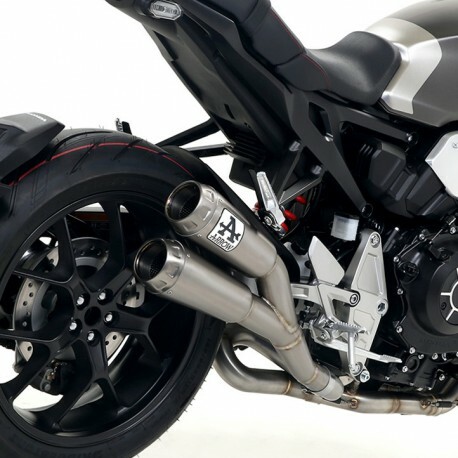 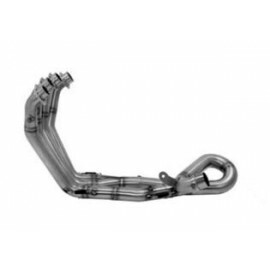 The installation of an exhaust of the Arrow range with the Arrow manifold allows a gain of performance (power / torque) in particular by reducing the weight of the motorcycle.